Could this be the answer to accurately predicting future market performance? You be the judge. At the start of every year, and especially during bouts of market volatility, stock market pundits make their bullish or bearish predictions about what is going to happen shorter term. With millions of market participants trying to digest information purported to impact the financial markets including corporate earnings, interest rates, inflation, geopolitics, trade wars, terrorism, and so forth it’s impossible to weigh every variable precisely to accurately predict what will happen next. No matter how much we wish it was possible, all of us know, logically, that it’s impossible for anyone to predict what is going to happen in the future, including stock market performance. That being said, I suppose it makes sense why these financial talking heads think they can since it makes for interesting commentary that sells papers, drives web traffic, and impacts television ratings. Perhaps at some level, investors play into this speculative discourse because there is comfort when one feels a sense of control – especially when it comes to money. But don’t be persuaded. Stock market predictions are still dangerous to your wealth. 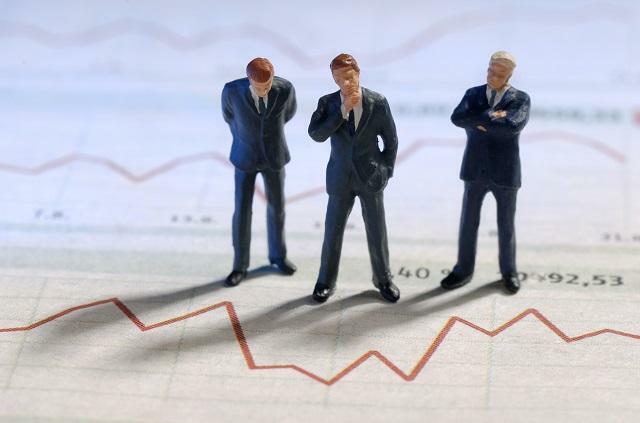 Here’s what every investor should keep in mind before making investment decisions based on speculation, no matter how credible or informed it may seem. The market research firm CXO Advisory Group recently collected more than 6,500 forecasts for the U.S. stock market offered publicly by 68 experts, bulls and bears, employing technical, fundamental and sentiment indicators. In their eight-year analysis of gurus’ stock market calls, the firm found on average the prognosticators were right 47% of the time. Would you stake your financial future on a 47 percent success rate? This research demonstrates that the most influential financial talking heads are no better at picking stocks than if they were to flip a coin. You can see why this is problematic and incredibly dangerous to your wealth. For the sake of this argument, I’d like you to meet my newest furry family member. This is my newest dog Lutsen (Lou for short.) 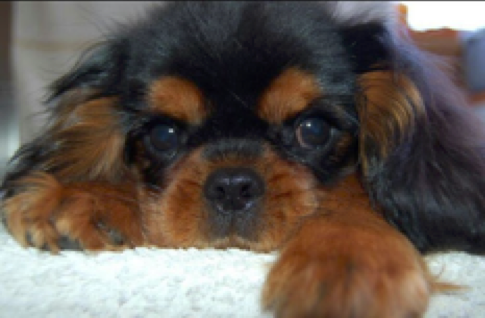 He’s a Cavalier King Charles and is quite active, always hungry, and not to mention, incredibly patriotic seeing as he was born on September 11, 2017. Why on Earth am I telling you about my dog in a financial blog? Well, because as it turns out, he’s pretty excellent at predicting market movement. Given the poor stock market batting average by the pros, I wanted to see how a nonhuman would fare in the same exercise. So recently, I tried an experiment to see how my dog Lou would do at picking the stock market’s direction, either up or down, the next trading day. For the experiment, I placed two morsels of his favorite dog food three feet in front of him. The morsel placed on the left represented a down day for the S&P 500 index while the morsel on the right would mean the S&P 500 would trade up the next day. Every weekday for 7 straight days at dinner hour, I observed which morsel Lou would choose first for his treat. Somedays he chose the morsel on the left side and other days it was the right side. Full disclosure: I did not attempt to bait him to pick one side from the other side. Lou simply took a random walk across my kitchen floor for the preferred tasty treat of the day. After seven days, Lou chose the right-side morsel five times and the left-side morsel two times, suggesting a bullish short-term bias by Lou! When comparing Lou’s short-term treat picks with the market direction the next day, he was right 5 out 7 days or a 71% accuracy rating! This is a much better success rate than picking a coin toss or using the limitless pool of expert opinions, wouldn’t you say? Should You Take Investment Advice from Lou? My experiment with Lou and its outcome is not to suggest that he should be relied upon for investment advice given his recent stock market picking prowess. What this exercise does show, entertainingly, is that forecasting the market (particularly shorter term) is very hard given the randomness and complexities of the markets. As a smart investor, you shouldn’t make your investment decisions based on all the noise you hear in the media. Market soothsayers can’t be relied upon for your investment plan and retirement needs. Consume media for what it is, find it interesting, use it to ask good questions or have timely discussions with your peers but don’t stake your future on the general opinions of others who don’t know your specific financial situation. Investing for the long-term, however, does come with a blueprint of proven best-practice strategies. A financial plan for the long-haul generally offers a winning formula for wealth creation and financial goal attainment success. And it’s not based on hope or guessing.